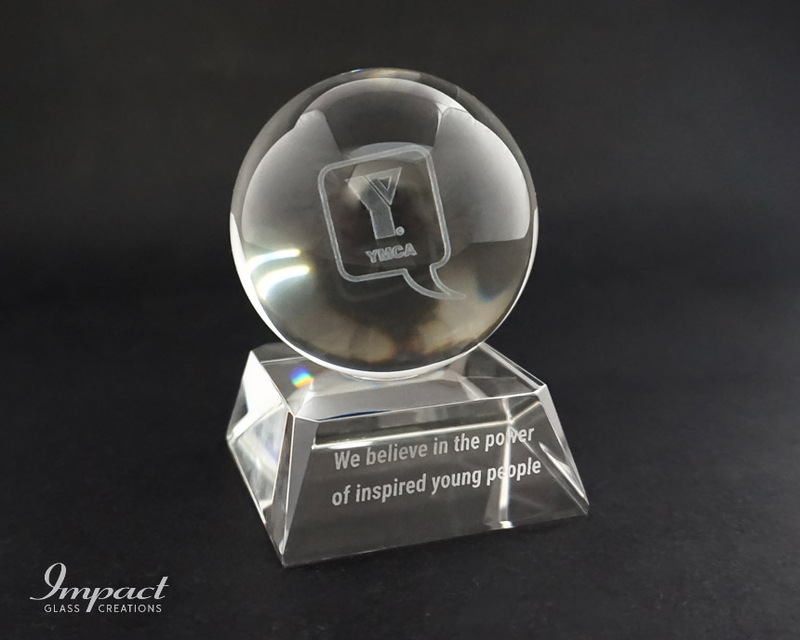 YMCA wanted something, simple but effective in conveying the desired message while promoting their brand and values. 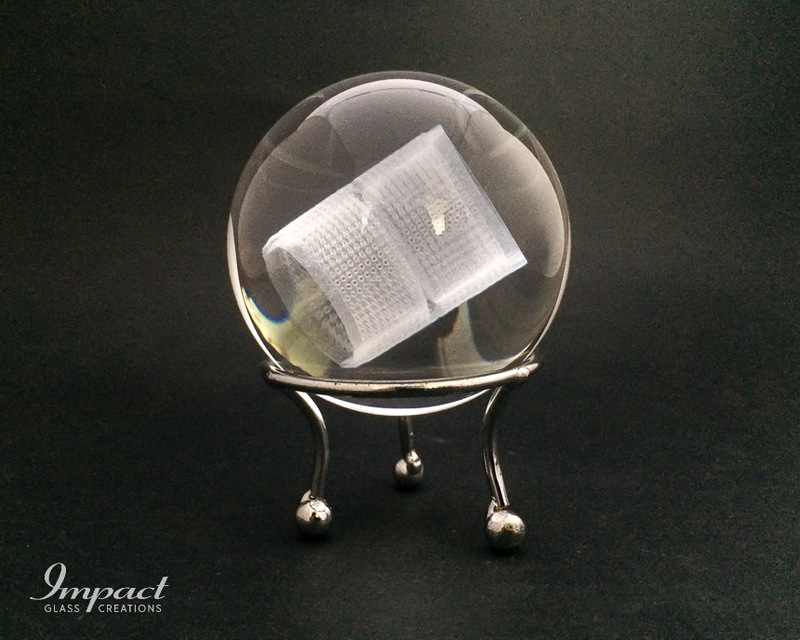 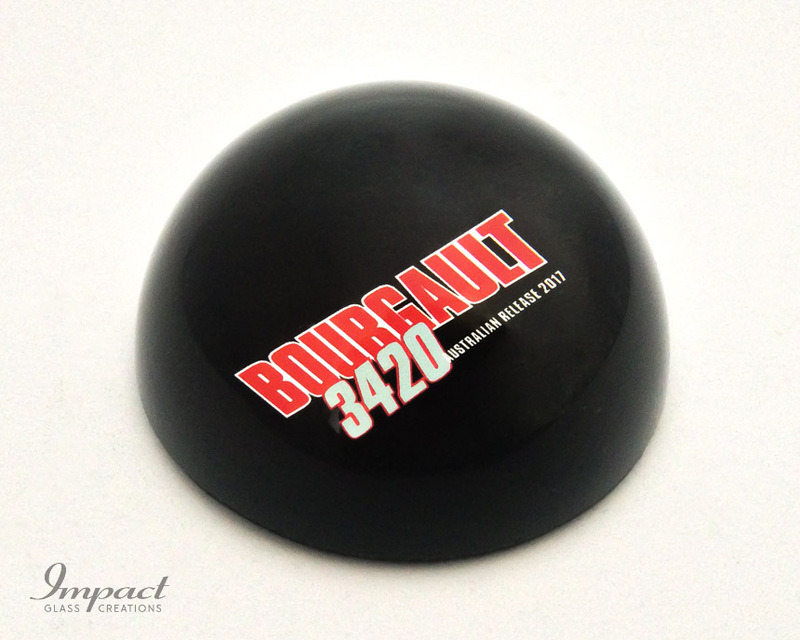 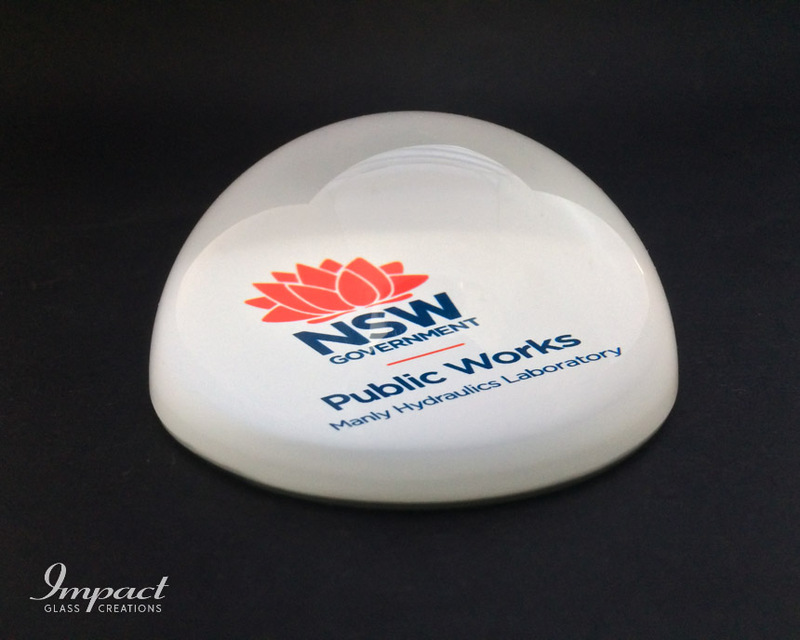 Seated on a smart crystal base is a 60mm sphere displaying the logo lasered inside creating a magnified effect depending on what angle it is viewed at. 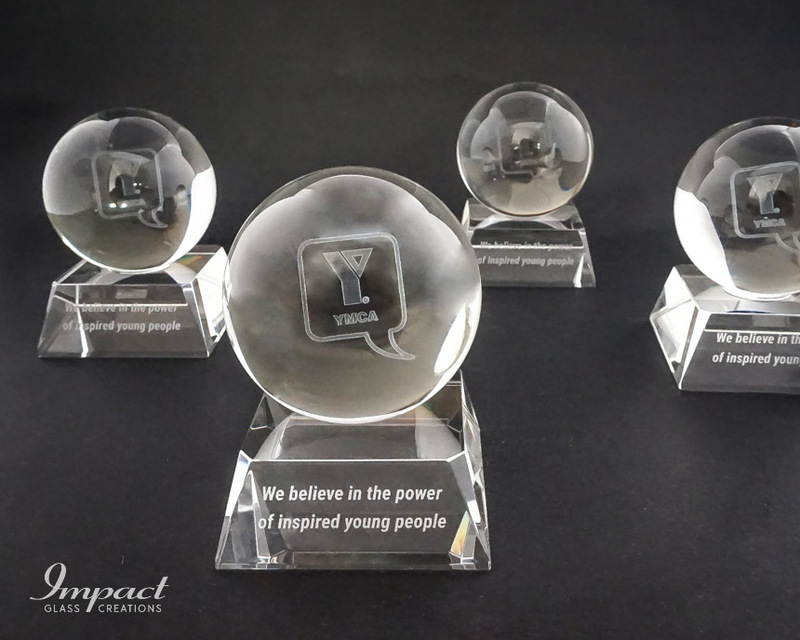 The base was then finished off with their tagline engraved into the front.